At the beginning of August I had a large parcel arrive filled with figure lines I've been wanting to try out for a while. With this parcel I also got this adorable Eevee MokoMoko plush. Is she not the cutest most fluffy Eevee you've ever seen. She is so soft and adorable and I am tempted to give her a bow like I did my Pikachu MokoMoko plush. Then I finally got myself a Cu-poche picking up this super cute Homura in her school uniform, it is such a cute uniform and the face pieces which come with her are also adorable. 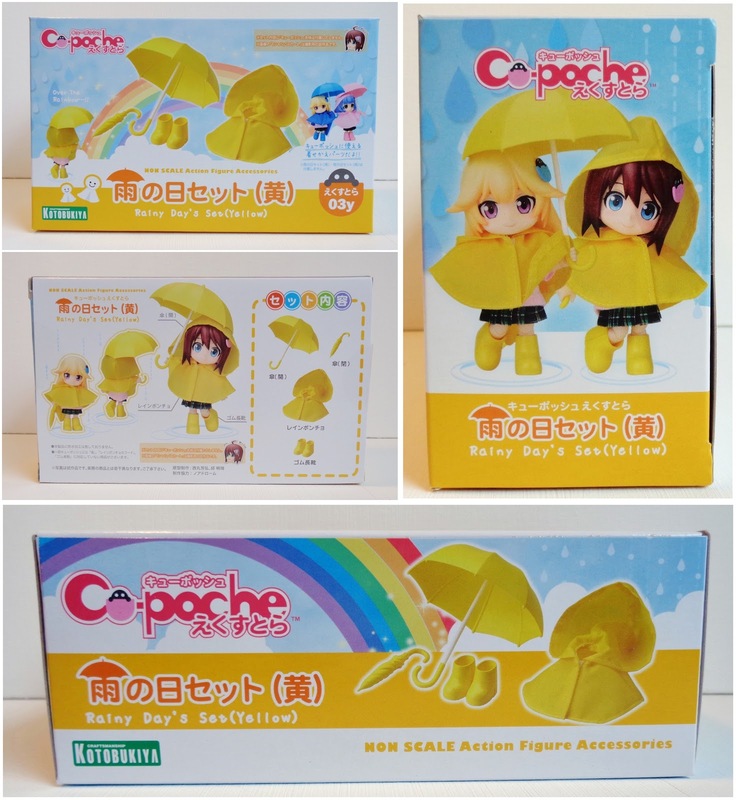 To go along with Homura I purchased the Rainy Day Set in yellow which looks adorable, however I expect that the rain coat won't fit her properly because of her two pony-tails, but the umbrella's should make up for it. Then I got one of the Summer Gym Suit Bodies because I love swapping figures around, mixing and matching different bodies and heads, thus I thought it was such a great idea for a figure line to come out with optional outfits which can be used for all their figures. I also finally took the plunge and picked up a S.H. Figuarts figure and my first choice was Sailor Venus. Even though I am not a fan of the series, only having watched a couple of episodes, I have always liked the look of Sailor Venus so I thought why not. Then a few days later another Cu-poche set arrived. This cute little swim suit is adorable, however I am going to need a miniature swimming pool for her to swim in!